I have had butterflies in my stomach all week for this giveaway. Who doesn’t want a chance to win a $500 Luxury Shopping Spree to spend at the most iconic Italian online store? My latest purchase from Luisaviaroma.com were the Isabel Marant Edris sandals in beige. 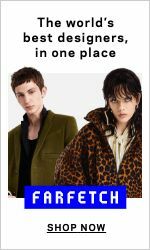 So the wonderful news today are that you could win a $500 Gift Card to spend at Luisaviaroma.com just by signing up to our fashion updates. Stay stylishly up-to-date with the latest fashion, beauty and interior decor news delivered directly to your inbox. First launched in the 1930s, by Luisa Jaquin on via Roma in Florence. 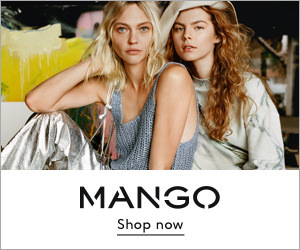 Luisaviaroma has since grown into a comprehensive luxury online shopping site with worldwide shipping for all your designer purchasing needs. 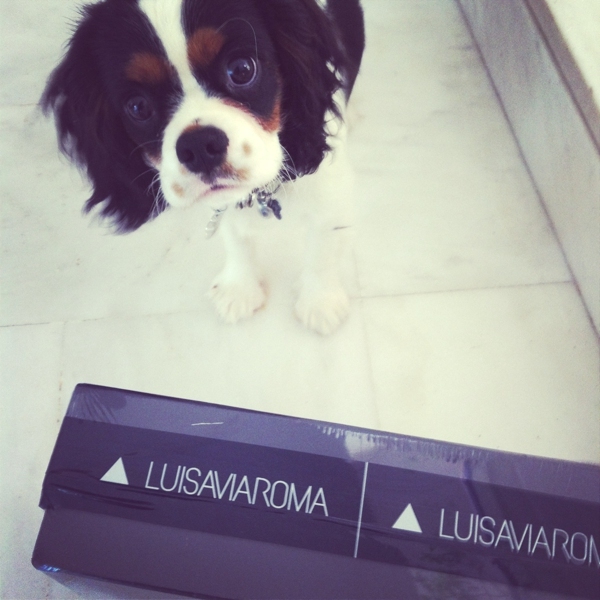 Luisaviaroma.com ships to 125 countries and has 4.000.000 visitors per month! 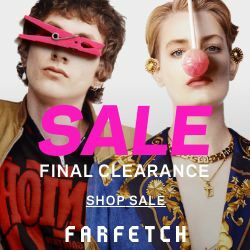 It features women’s, men’s, and children’s clothing, shoes and accessories from both well-known and emerging designers in the fashion industry. You can find an amazing collection of Valentino, Dolce & Gabbana, Chloe, Givenchy, Saint Laurent just to name a few. I don’t think it’s a secret I have a soft spot for high quality designer items and I do believe they are worth investing but winning is even better! I always loved the Luisa Via Roma store in Florence and collaborating for this giveaway is a dream come true! The instructions are super easy! The international giveaway ends Tuesday June 17 at midnight. The winner will be announced on the blog, facebook and twitter. TrendSurvivor X LuisaViaRoma $500 Gift Card- GIVEAWAY WINNER IS…. I love the Emilio Pucci Printed Silk Charmeuse Dress. Their shoe selection just makes me nearly cry with longing. I just entered!!! Fingers crossed, I could really use a new handbag or shoes, ohhh it would be wonderful! I will definitely get a shoes with the gift card. They are my weakness. Amazing giveaway… I swoon over everything on their website! Adore your new sandals! I have been eyeing them forever. Thanks so much for stopping by Palm and Peachtree… Will definitely be keeping up with you and your cute blog! 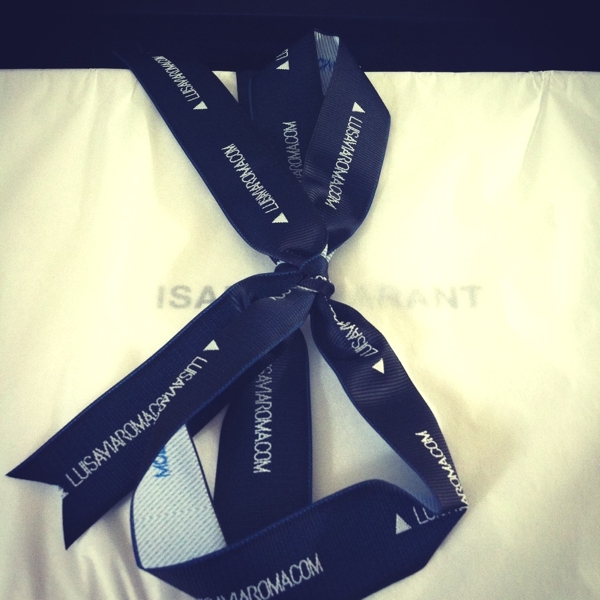 Me too… ever since I saw the Isabel Marant fashion show!!! Good luck Bekka!!! hahahaha me toooooo!!! Good luck ! I would get a new handbag I think! 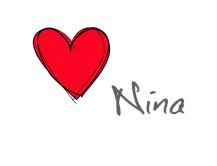 I’ve liked on facebook, twitter and subscribed to both newsletter <3! Thank you so so much, Hope I'll win! Yep, shoes are my weakness as well. I love shoes, but I’m obsessed with purses. If I won (Fingers doubled crossed! ), I’d probably use the gift card towards a Proenza Schouler piece. Thanks for hosting such a great giveaway! Good luck Megan 🙂 Love your choice! I have the mini PS1 and I have worn it soooo much. Hope you’ll like mine too! Will I get shoes with the gift card? Maybe, but maybe a new designer bag. Either way, I will be over the moon! Thank you for all the work it takes to host this giveaway! Much appreciated! Thank you my dear Alison! Good luck! It would be hard to choose! What an amazing giveaway! I really love shoes, so maybe I’ll get new shoes with the gift card (Ireaaly Like Tory Burch lace espadrilles and Jeffrey Campbell wedges). I’m really obsessed with bags too, so it is a realli hard choice. I wish you the best of luck ! I love shoes and dress!!! Fantastic!! yes! 🙂 thansk for chance! Probably I would choose shoes! Welcome to the club and good luck ! I may get shoes, but I feel like I won’t. More than likely I will get anything nice that I see that will fit within the price range. Shoes are a priority though! i might get a leather bag or something useful that i can wear . This is so exciting! I am now entered and have my fingers crossed. That sounds fantastic, I hope I could win! Shoes would be lovely! Thanks for the awesome giveaway! I do think I would get shoes. There is a slight chance of a wallet or handbag though. I know my sizes in the brands I usually wear so I rarely have surprises… bag ..not a bad idea at all… loving the Saint Laurant ones! I will definitely get shoes with the gift card! Shoes would be nice but I also need a dress to go with. I loooove Rick Owens! Good luck Shelley! That’s a new one… Good luck! You are right to be excited. have a fabulous start of the wee. I might! Or, I might use it toward a new handbag. I will definitely get shoes! ANd a purse! I REALLY need a new purse!!! Yes, shoes are never enough! Yes I will definitely buy shoes if I win the gift card!! Wow I felt like you read my mind when I saw your question about the shoes!!! Yes! I would love to get new shoes. I loooove them ! Good luck! I would definitely get some new shoes with this gift card! cool giveaway, too bad i missed it!